It takes a family working together to choose the most appropriate option for a loved one’s senior care—and to provide a loved one the best care possible. 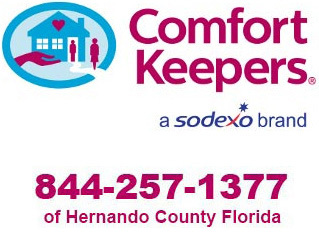 In this article, Comfort Keepers® offers suggestions of important areas of family and senior consideration. Working together, the family can create a great foundation for senior support. Seniors often have difficulty expressing their needs, desires and preferences, so they need someone to advocate for them. And who is more qualified for that than the people who know them better than anyone else in the world? 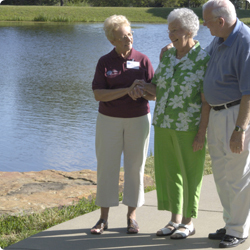 Even if your family chooses to involve outside help in providing your loved one’s care—an in-home care agency like Comfort Keepers, an assisted living community, or a nursing home—you need to be involved. You can communicate to the professional caregivers your loved one’s likes and dislikes, habits, routines, concerns and all the other things that make them the individual they are. Without your help and involvement, their care may fall short of what they deserve. Today, 80 percent of older Americans prefer to stay at home as they age. This means families are more directly involved than ever in their loved ones’ care. So, it is more important than ever for families to be involved in the planning stage together, as no single individual can adequately handle the responsibilities of caregiving alone. Certainly not on top of responsibilities at work and with their own families and community involvement. Granted, in most families, there is usually one sibling who, by desire or default based on proximity to the aging parent, becomes the chief caregiver. Deciding who that person will be is a good topic for the first conversation with aging parents. Parents, of course, need to be involved in every step of the decision process so they can maintain as much control of their lives as possible. But no matter who is the chief caregiver, all siblings need to share in the responsibility in some way. This could involve home maintenance, managing bill paying and finances, or taking care of insurance and medical claim issues. Also, do not forget the importance of frequent visitation. As you brighten your parents’ day, you can monitor their health and mental status and share concerns you have with their professional caregiver. You may find that their care plan needs to be modified to address changing circumstances. What is the safest, most comfortable, most appropriate care option available for my parent? Is a family member nearby who can be of assistance at a moment’s notice? What types of help does my parent need – for instance, bathing, eating, transportation, medication reminders? What about religious affiliation and other personal preferences that are important to my parent as they relate to choosing a care option? What types of senior care are available? How do they differ? And how does each one address my parents needs? To help find the care solution most appropriate for your parent, you may consider having their physician conduct an evaluation. You may also consider options that match your parent's unique traits and temperament. For instance, is your parent typically a thinker or a socializer? Thinkers desire space and privacy and prefer independence, reading, and working quietly alone. On the other hand, socializers are energized by people. They enjoy interactions with others and act lonely without regular interaction. Also consider your parents past living experiences. Are they accustomed to owning a home where they have acquired many valued items? If so, they may find it difficult to leave. Or, are they accustomed to an apartment or condo? This setting may make it easier to adjust to smaller living areas with others nearby.